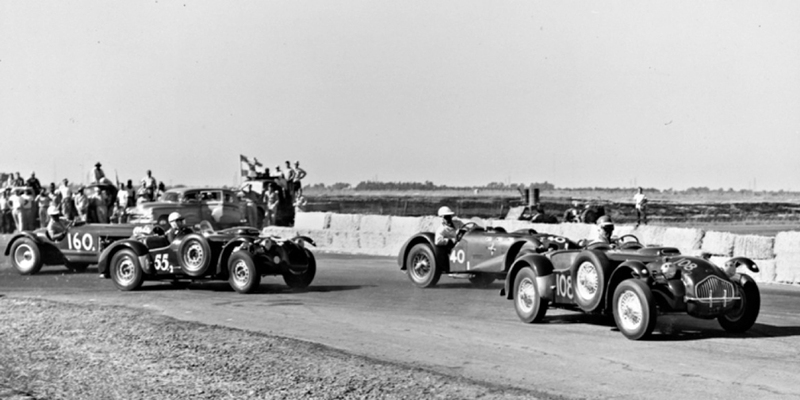 Race winner Weiss in #55 and two other Allards. There were five Allards in the race. We know Weiss is in #55, and 3rd place finisher Bill Carmen drove as #104, so that leaves three possibiliies for the two leading Allards (all DNFs): Fred Lavell in a J2, Hastings Harcourt in an Olds-powered J2X, and Harry Fair in a Mercury-powered K2.